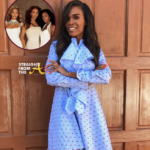 Michelle Williams of Destiny’s Child has reportedly admitted herself to mental health facility for treatment of depression. The songstress also released a statement to fans addressing the news and shares that she will “continue to always lead by example as I tirelessly advocate for the betterment of those in need”. According to TMZ, Williams admitted herself into a mental health facility just outside of Los Angeles and has been there for the past several days. It’s no secret that the songstress has battle with depression in the past, as she’s been quite vocal about her struggles. Williams even discussed her ongoing mental health battle in an interview on ‘The Talk’ last year. 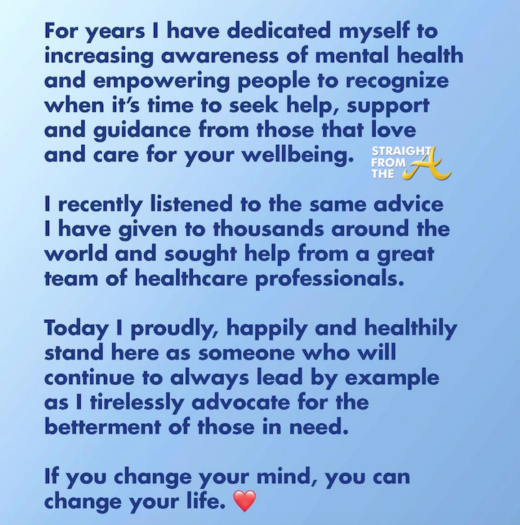 What are your thoughts about Michelle Williams’ public announcement?